That next Christmas, we fish with a good friend of mine, Luke Hocke. 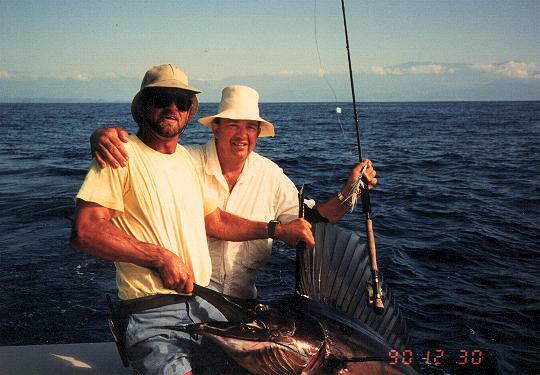 here's my Dad and I with his third sail on fly. 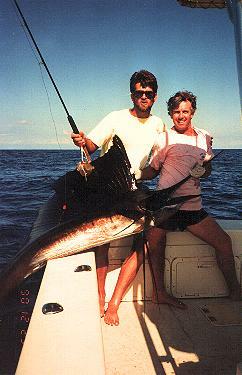 In two days we catch two sailfish on fly, and several others on conventional tackle for the rest of the family.